Dr David O. Carpenter to Discuss EMF and its Impact on Health. My guest, David O. Carpenter speaks about EMF and it’s impact on health. 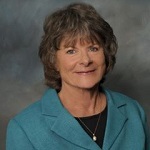 Dr. Carpenter is a public health physician whose current position is Director of the Institute for Health and the Environment at the University at Albany, as well as Professor of Environmental Health Sciences within the School of Public Health at the University at Albany. After receiving his MD degree from Harvard Medical School he chose a career of research and public health. After research positions at the National Institute of Mental Health and the Armed Forces Radiobiology Research Institute, he came to Albany in 1980 as the Director of the Wadsworth Center for Laboratories and Research of the New York State Department of Health, the third largest public health laboratory in the US after NIH and CDC. In an effort to build ties to an academic program, he initiated efforts to create a partnership between the New York State Department of Health and the University at Albany, resulting in the creation of the School of Public Health in 1985. He was then appointed as the founding Dean of the School of Public Health, a position he held until 1998 when he became the Director of the Institute of Health and the Environment. Dr. Carpenter’s research initially was basic neurobiology, and more recently has primarily been the study of human disease resulting from exposure to environmental contaminants. He has focused on the relationship between exposures to a variety of chemicals and ionizing radiation on incidence of several human diseases, including diabetes, hypertension, heart disease and diseases of the nervous system. He has extensive international scientific collaborations in Japan, China, Uganda, Pakistan, Turkey and Russia. The Institute which he directs has recently been identified as a Collaborating Center of the World Health Organization. Dr. Carpenter is also a member of the Science Advisory Board of the International Joint Commission, an organization that advises the governments of the US and Canada on issues related to the Great Lakes. He has more than 350 peer reviewed publications and has edited five books. When he arrived in Albany in 1980 as the Director of the Wadsworth Laboratories of the New York State Department of Health, he was given the responsibility of administering a program to determine whether there were adverse human health effects of electromagnetic fields (EMFs), initiated because of concern of hazards from high voltage power lines. A 5 million dollar research program was begun, and when finished in 1987 the program concluded that while there were effects of EMFs on many organ systems, a particular concern was an increased incidence of leukemia in children living in home with elevated magnetic fields. After that time Dr. Carpenter became the spokesperson for New York State on issues related to EMFs. He has continued to evaluate research in this area, and has edited two books and written several review articles on the subject. He testified before the President’s Cancer Panel in 2009 on human health effects of both power line and radio frequency EMFs from a variety of sources, particularly from cell phones. He is the Co-Editor of the Bioinitiative Report (www.bioinitiative.org), published first in 2007 and revised in 2012. 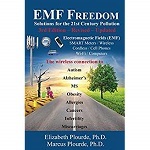 This is a comprehensive review of the effects of EMFs.